Issuing a statement on Friday, Taliban reported on intensification of wars and offensive spring operations under the code-name of Al-fatha. The ex-president had predicated that the armed insurgents would likely to increase their fightings. President Ghani had once said that every time with talking on peace, war is intensified for getting of concession. He had emphasized that intensified war for this purpose should not cause amazement in the country. The president had also said that the most difficult stage of war is prior to restoration of peace in which wars are intensified. 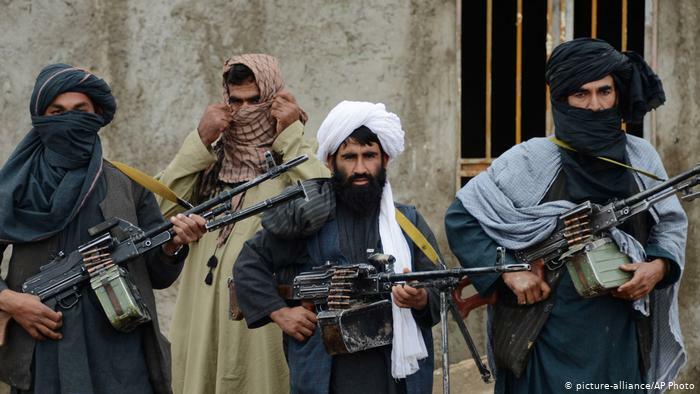 Since two weeks, the Taliban insurgents have started offensive in certain parts of the country and created violences. These insurgents have launched efforts to achieve advancements in parts of Badghis province. But fortunately encountered with strong resistance steadfastness and effective measures of ANSDF, and were suppressed and eliminated. On Saturday evening, Taliban insurgents once again attacked ANSDF cheek posts and positions in the vicinity of Kunduz. According to ANSDF sources, the goal behind these offensives was re-occupation of Kunduz city. These attacks took place following a series of attacks on Chahardara district but ANSDF managed to repulse these attacks and failed them and prevented insurgents to gain achievement. All these indicate that Taliban plan to expand violences, intensify war against ANSDF in different parts to gain concession during peace talks. Taliban believe that if foreign troops don’t leave Afghanistan or according to their opinion don’t put an end to Afghanistan occupation, they would not give up war and conclude violences. So the ANSDF should have essential preparation to respond every violence and war-mongering of terrorists groups like Taliban and implement Khalid security plan which was made for improving of nationwide security situation in the country. We need measures to suppress insurgents in their origin and target their safe sanctuaries and strongholds and dismantle their war-machine and disable them to relaunch subversive activities. At the moment, despite of problems and threats ANSDF enjoy reliable combat capability and skills and are in much better position than the past. We have trained and skilled Air Forces who are capable to carryout independent air operations. These forces enjoy strong popular support of Pan Afghan people and the Afghans consider them their sincere and honest guardians.